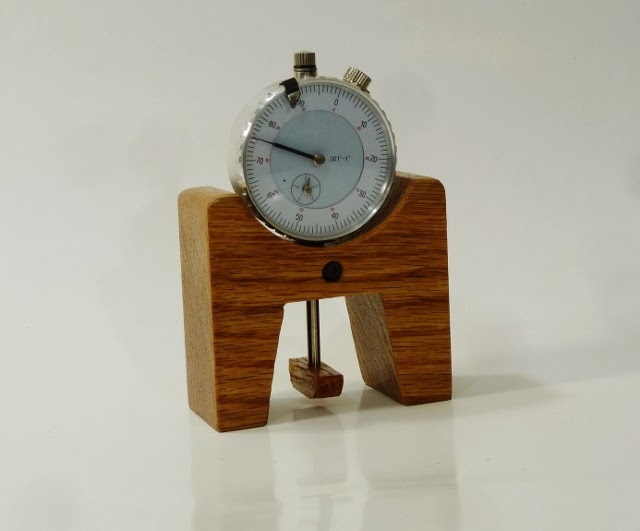 I built this Height Gauge a while back and it works great but now I want to build another gauge for micro fine adjusting. 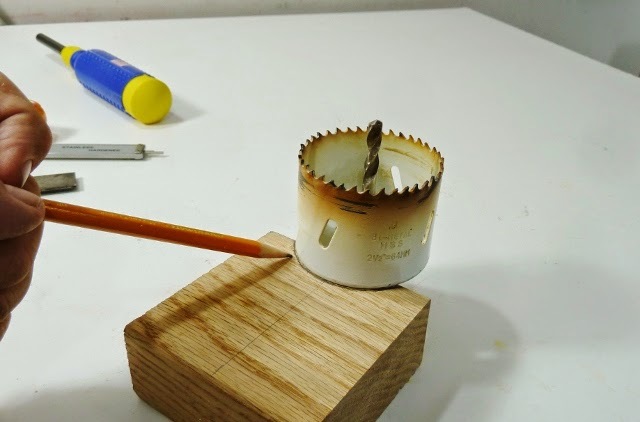 I will use a dial indicator and be able to adjust to 1/1000th of an inch. 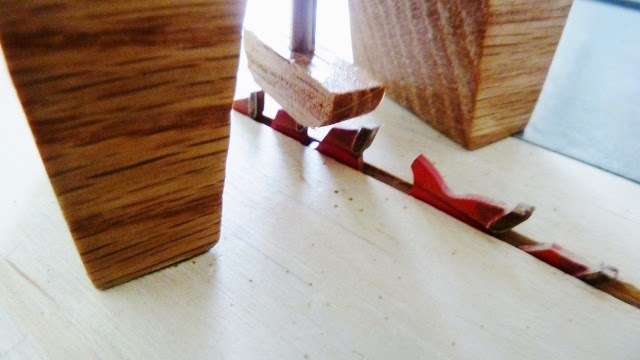 To start I use a piece of 2x4 oak and cut a 3 1/2 inch length on my miter sled. 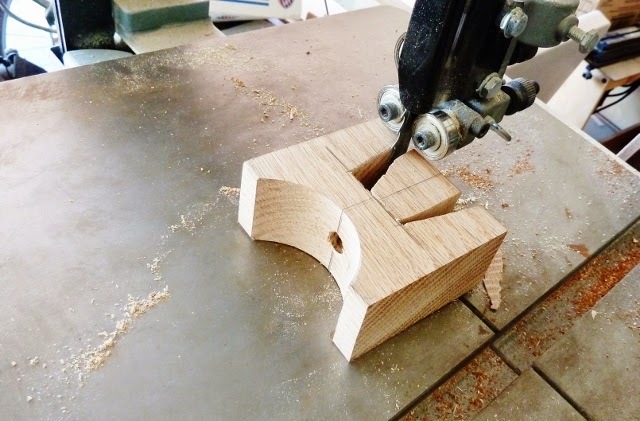 To make a small cove I trace it with my hole saw and will move on to the drill press. 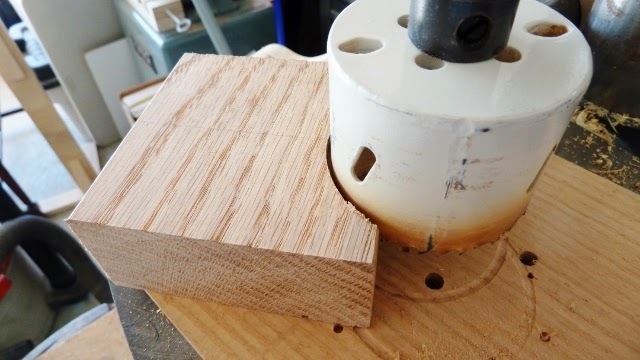 After marking I cut it on my drill press, this can be a bit tricky because it is not a full circle so the block has to be braced firmly. I did mine by hand but a clamp may work easier. 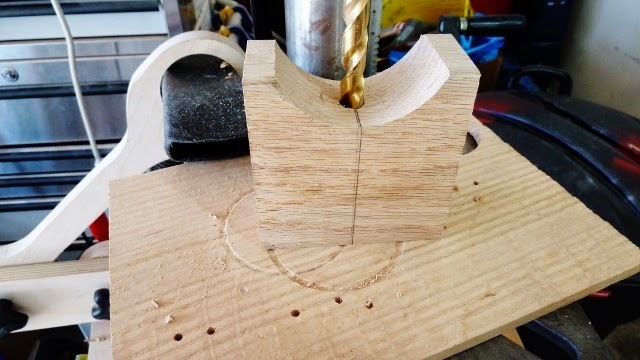 Next I mark and drill the center for the stem of the dial indicator. 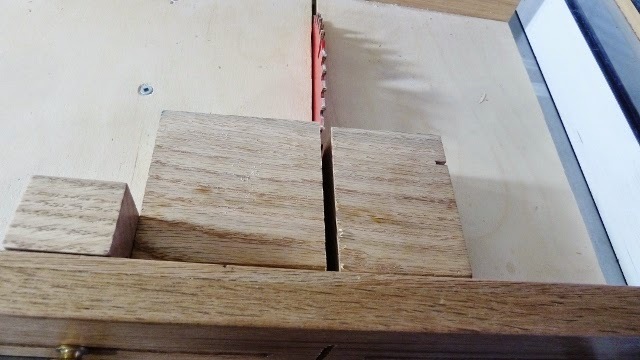 With the band saw I notch out the bottom. Everything is cut and I put in the dial indicator. A small set screw was installed to keep the dial secure. 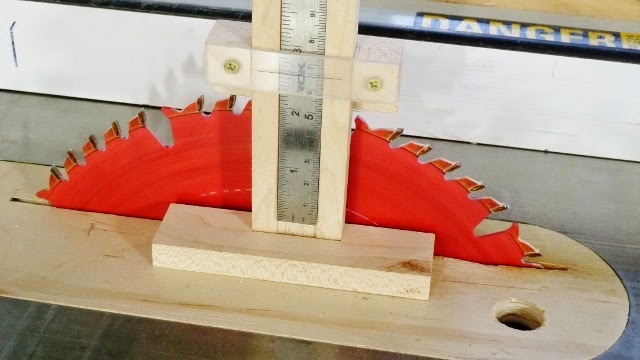 A foot was also added to the spindle for more surface to touch the top of the blade.